Relaxation Rooms. Shut the door on the rest of the world and sweat stress away. 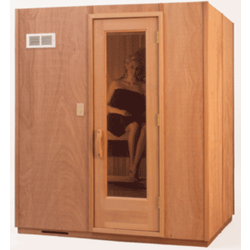 Energy Plus carries Finlandia saunas designed to help you relax, relieve aches and pains, renew skin and refresh your body and soul. 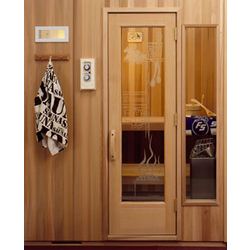 Finlandia sauna is among the oldest sauna manufactures in America est. 1964. 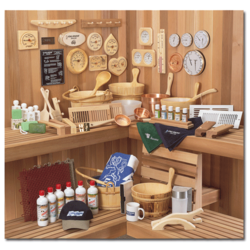 Like Energy Plus, Finlandia takes no shortcuts with material or workmanship offering only one quality of product... the very best. Shut the door on the rest of the world and sweat stress away. 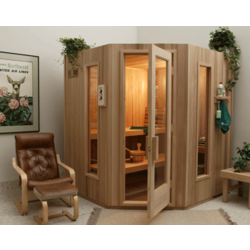 Energy Plus carries Finlandia saunas designed to help you relax, relieve aches and pains, renew skin and refresh your body and soul. 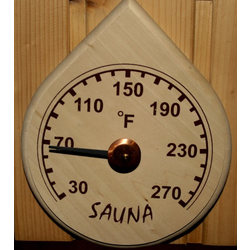 Finlandia sauna is among the oldest sauna manufactures in America est. 1964. 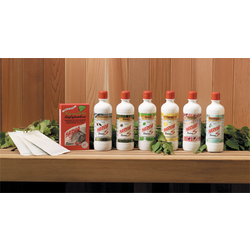 Like Energy Plus, Finlandia takes no shortcuts with material or workmanship offering only one quality of product... the very best. 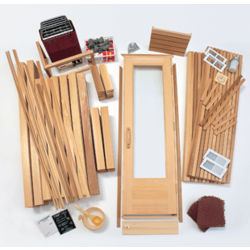 We cut all packages to your exact inside stud to stud dimensions in your choice of wood. 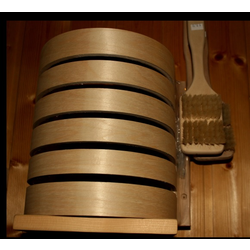 Our standard wood is clear Western Red Cedar. 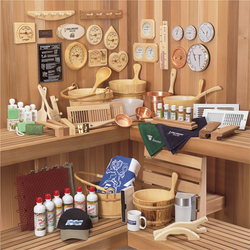 Clear Redwood, clear Alaskan Yellow Cedar, and clear Western Hemlock are optional woods. 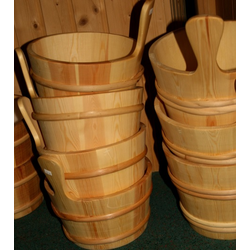 We can cut to virtually any custom size. 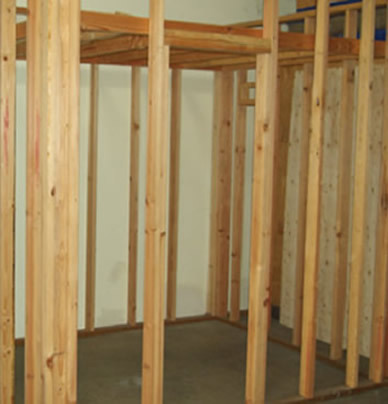 Frame room to desired size using wood or metal studs. Our T&G boards are nailed directly to the wood frame .Metal studs require drywall and 1x2 (3/4" thick) wood nailing strips. Lower ceiling to 7 0" from finished floor. Frame door rough opening to 26" x 82" for standard 2' 0" door. Frame in an upper and a lower vent box with rough opening of 4" x 10". 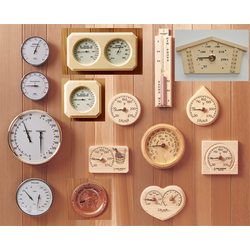 Install rough electrical for Sauna heater, wall light, and wall control (if applicable). Single gang rough in for wall light should be 78" from the floor or 6" below the ceiling. Insulate all walls and ceiling with R-13 fiberglass batt insulation. Install waterproof floor of tile, vinyl, or cement. 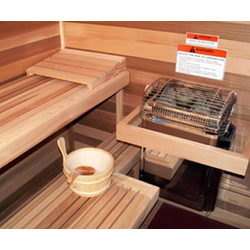 A drain in the Sauna is optional for residential but is recommended for commercial use. FPC Package does not include a solid surfaced floor. 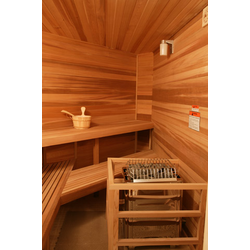 Finish the exterior Sauna walls with drywall or some type of paneling. 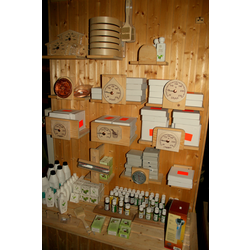 Finlandia does not provide exterior paneling for FPC packages unless it is requested.